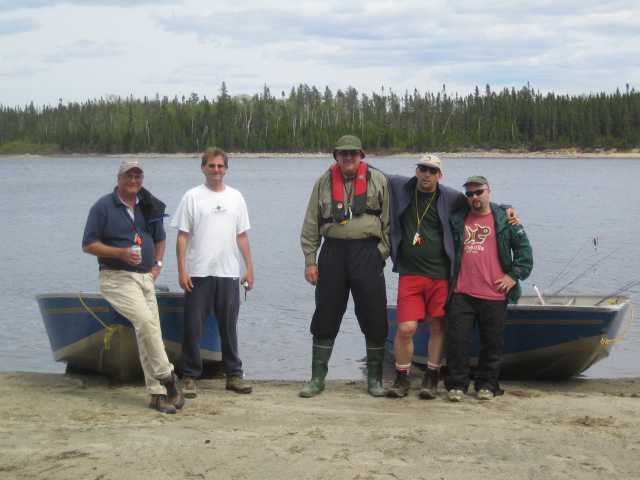 So we’re all back from Nemio where for the third year in a row we had a great time and some great fishing. There were a few no-miss spots where if you just spent the day there you’d pretty much fill the boat. Jon Eschinger and I spent the last day wandering around up and down the river and still managed to pull in our limit of 16 fish for the day by 5:00pm. John has already posted a great trip report and pics. Hopefully the others who brought cameras will soon be making theirs available as well. I was particularly lazy with the camera on this trip. The few half decent photos I took have been duly posted.